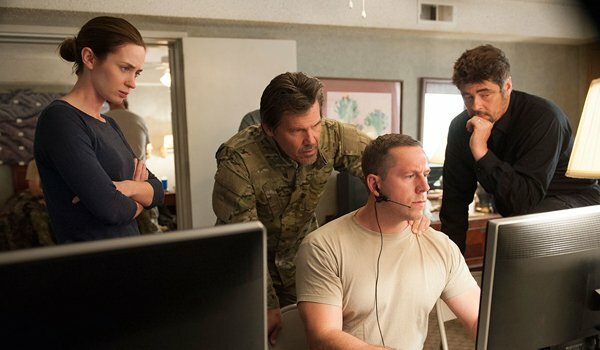 The upcoming crime thriller Sicario has released its very first images showing what seems to be an intriguing cast dynamic between stars Emily Blunt, Josh Brolin and Benecio Del Toro. The film focuses on an FBI agent, played by Blunt, who is placed into the world of Mexican drug cartels. Based on what's being seen, the ordeal will leave her marked, not only ethically, but physically. Check out the new photos to see what we mean! Released exclusively for Hitfix, the film’s photographical debut depicts violent results in store for FBI agent, Kate Macer (Emily Blunt), who is rocking a shiner while clearly nursing some greater concerns. Most likely what’s vexing her is the dilemma in which she has been placed as part of a makeshift task force with two mercenaries, Matt Graves (Josh Brolin) and an individual simply referred to as Alejando (Benecio Del Toro). The mission will apparently see the trio cross the U.S./Mexico border southward to topple a powerful drug cartel boss. However, it seems that this pairing will create a moral quandary for the idealistic agent; likely surrounding some less-than-conventional methods that will likely be implemented. As we can see in the group picture above, the team will have some resources at hand, including a white-tee-rocking gentleman sitting at the computer, who we’ll assume isn’t just browsing for funny Russian dashboard cam videos. Yet, the true nature of the mission is something that lends itself to ambiguity and clearly Kate is unaware of the breadth of this assignment and the array of dangers that lie ahead. Jumping from the comfort of a desk and a procedural handbook at the FBI, we’ll see her thrust into a world of collusion and corruption, where any and all aspects of life are prospectively controlled by the cartels. No one can be trusted and we’ll start to see the systematic breakdown of Kate’s ideals, while her mysteriously motivated partners possibly place her in danger. Helmed by the individual who brought the mystery and intrigue of 2013’s Prisoners, director Denis Villeneuve heads this promising plunge into a lethal, labyrinthine dynamic where the only thing of which you can be assured is that nothing is as it seems. 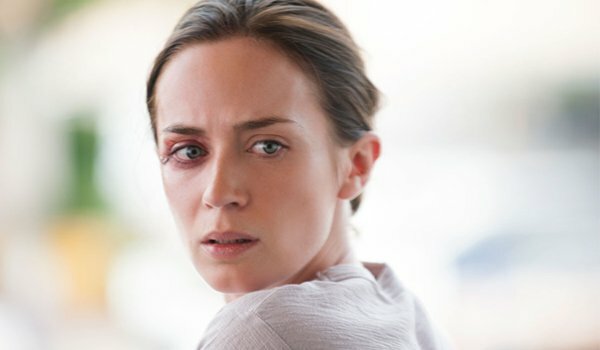 For Emily Blunt, who has made the cinematic climb from romantic interests to a strong co-star for Tom Cruise in The Edge of Tomorrow, this role in Sicario marks her first true opportunity to step into the spotlight of some seriously potent drama. The film seems to be generating exceptional buzz as Lionsgate readies its premiere this month at the Cannes Film Festival; an auspiciously unprecedented move for a project produced by the studio. Besides the primary trio, Sicario also features a noteworthy supporting cast consisting of names like Victor Garber, Jon Bernthal, Jeffrey Donovan and Raoul Trujillo. While the film makes its debut at the May 13-24 Cannes Film Festival, the public will have to wait all the way until September 18 for its limited theatrical release, followed by a wide release on September 25.